When it comes to coloring your hair, we know the options can be a bit overwhelming, and we’re not just talking about choosing your color! Aside from knowing the general “look” you’re going for, most clients don’t have a good understanding of hairstyle lingo. 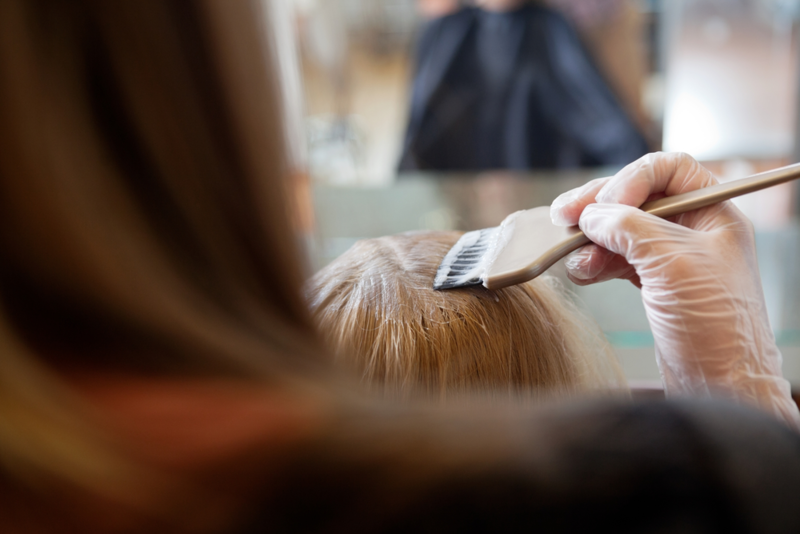 If you’ve ever wondered just what in the world words like “highlights”, “balayage”, or “color correction” mean, you’ve come to the right place. We’d like to help you understand these coloring services, so you can feel confident in asking your stylist for exactly what you want at your next appointment! Highlights: Highlights are created by dying sections or strands of hair a few shades lighter than your base color. The main reason to add highlights to your hair is to brighten up the overall color of your hair and add softness and dimension to it. It will also help the hair to appear more full. Highlights can be added to hair any time, but summer tends to be most popular because this tends to be the time of year that your hair will naturally take on a lighter shade if you spend a lot of time outdoors. This helps to achieve a sun-kissed look without the harmful UV rays. Balayage: From the French word that means “to sweep”, balayage is a highlighting technique that creates a unique look. The color is swept through small triangular sections of hair onto a board or foil, giving it a natural transition down into the lighter color. A balayage will leave pieces of darker hair at the bottom to create dimension and a more natural look, which requires less maintenance and upkeep. Color Correction: This is what you need if a prior coloring service didn’t quite turn out the way you expected. A color correction works in much the same way as a good under eye concealer, only on your hair. Your stylist will first evaluate the condition of your hair to determine the best approach to achieve the look you want. The goal of this service is to restore the health of your hair while making sure you leave with a look you can be proud of. Here at TRU Salon + Spa, we offer all of these hair color services and more! Even if you’re not exactly sure which type of service will achieve the look you want, we can help you decide. We have the tools and expertise to help you achieve the look of your dreams. Give us a call at one of our two locations- Branchburg, NJ (908) 218-9878 or Warren, NJ (908) 753-9878, book online, or download the app from free from iTunes, Google Play, or Amazon.